I have been working on a water balance study for an underground mine. 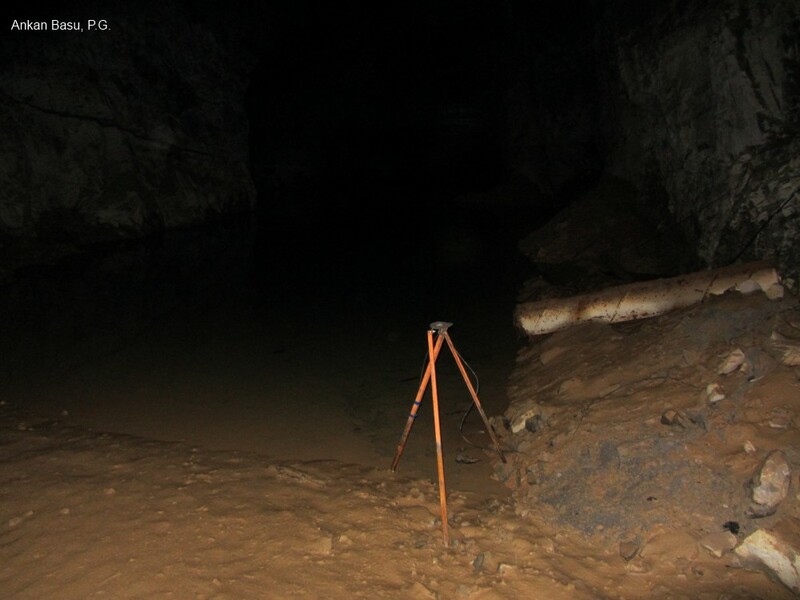 As a part of our investigation, it was critical to understand the changes in the level of underground mine pool. You can see the water in the mine pretty clear in the picture. The lime-mud was very sticky and we had hard time close to the shoreline.